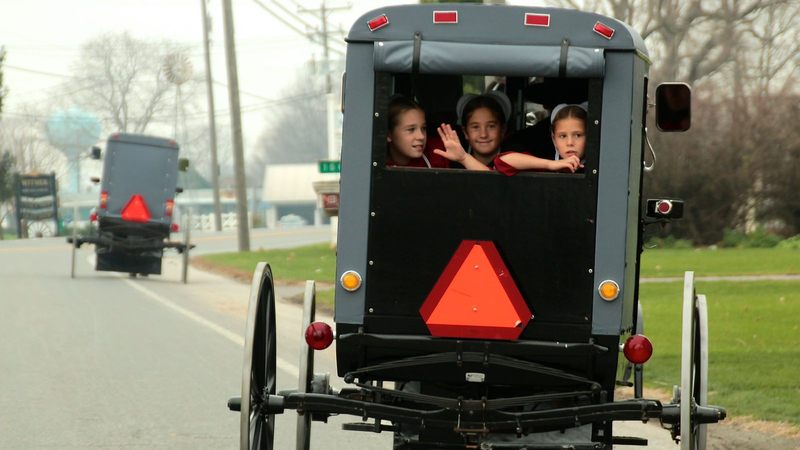 Pennsylvania Amish and Mennonites flock to Philadelphia to see their hero Patrik Laine and clog up Highway 30. The most popular hockey player among Pennsylvania Dutch, Amish and Mennonite fans from the Lancaster area is playing in Philadelphia and highways are clogged with horse and buggies full of fans slowly making their way to the game. Pennsylvania Highway 30 will be most affected by the increased traffic. Wells Fargo Centre will be a sea of black hats and white bonnets. Amish and Mennonite fans from as far away as Lancaster and Harrisburg staring snapping up tickets last month. Demand became so high scalper could charge up to $1,500 per ticket to Saturday’s NHL game between the Winnipeg Jets and Philadelphia Flyers. Many of the ticket buyers are opting to trade vast amounts of baked goods, blankets, quilts, eggs, live poultry and some pigs for tickets. Normally after market tickets are sold online or near the rink but for this game, sellers are setting up roadside stands to exchange their seats for a variety of Amish and Mennonite goods. After Patrik Laine scored a hat trick in New York a few days ago, many Amish men are hopeful they will be able to toss their iconic black hat onto the ice when they see their hero live in person. To many Amish and Mennonite fans from Pennsylvania, the fact Winnipeg has embraced the beard wielding Finn, has them interested in re-locating to the Manitoba capital. Before a mass migration begins, the Laine fans from Pennsylvania will enjoy seeing their favorite hockey player take on the home team. Flyer team officials are scrambling to secure enough straw and hay to the wave of horses and buggies heading their way.